Scientific Federation is delighted to welcome you all to the World Summit & Expo on Food Technology and Probiotics (World Food Technology Summit-2016) which will be during November 21-23, 2016 at Dubai, UAE. The year 2015 has been setup as a goal post by the Food and Agriculture Organization of the United Nations (FAO) at 1996 World Food Summit, where leaders of 186 countries pledged to reduce by half the number of hungry people in the world and committed to achieving food security to all by 2015. However the target was not achieved yet and many parts of the world still undernourished. There might be numerous reasons behind the failure but we believe that a slowdown in Exploration of new technologies in Food Processing sector was also one of the major reasons. Thus we, Scientific Federation, would like to setup a venue for Researchers, Academicians, Industrial Delegates, Care Givers and other Food Industries to accelerate the research in Food Technology and Probiotics. World Food Technology Summit-2016 is anticipating around 300 participants from around the globe and the three day conference will provoke Plenary Sessions, Keynote Speeches, Poster and Oral presentations. Our pleasure to meet you at the event!!!! 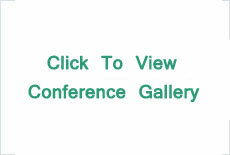 The Scientific Conference aims to serve as a catalyst for the advancement in Food technology & Probiotics by connecting scientists within and across disciplines at conferences held under a single roof that creates an environment conducive to information exchange, generation of new ideas and acceleration of applications that benefit society. The World Food Technology Summit-2016 focuses on the advancement of Food Technology which meets not only the technologies but also Social and Cultural needs. The summit covers conventional and emerging trends in Food Processing, Food security, Food Supply and Exploration of Functional Foods. The Scientific Federation brings you an immense opportunity to be a part of scientific acceleration to world class personalities, young scholars, scientific delegates and young scientists to join in this forum to utilize the expertise and novelties that brings a new era for innovations in the field of Foodtechnology & Probiotics which brings well versed scrutinizers at one place. It provides a platform to have open discussions, knowledge sharing and interactive sessions with field experts at FoodTech-2016. We request you to submit a brief idea or abstract of your talk/presentation/symposium/workshop according to your session interest. Please follow the format of our Sample Template. Dubai is one of the seven emirates that make up the United Arab Emirates on the Arabian Peninsula and is one of the wonders of the modern world. It is located on the southeast coast of the Persian Gulf and is one of the seven emirates that make up the country. The city of Dubai is located on the emirate's northern coastline and heads up the Dubai-Sharjah-Ajman metropolitan area. Dubai has emerged as a global city and business hub of the Middle East. Dubai having expanded along both banks of the Creek, Dubai is divided into two parts - Deira on the northern side and Bur Dubai to the south, as well as the top tourist destination of Jumeirah. Dubai is preserved some of the most intriguing historical attractions. 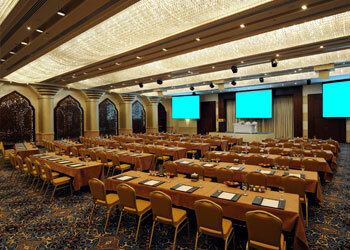 The Conference venue Crowne Plaza Dubai - Deira is conveniently located close to the Dubai International Airport (DXB) i.e. 4.23 MI/ 6.8 KM and to the old part of town (Old Souk, Dubai Creek, Bur Dubai). 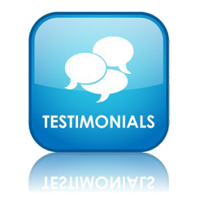 It is also surrounded by a vast variety of shopping ideas - malls and street stores. Venture outside and you'll find yourself in the heart of the ever-changing and vibrant city of Dubai. Its magnificent beaches, unrivalled shopping malls and cultural heritage attract both business and leisure guests all year round. 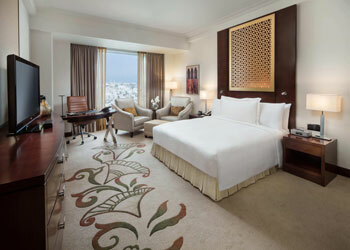 Crowne Plaza Dubai-Deira offers the perfect haven in the city that will mesmerize, entertain and inspire you. The hotel is situated in the heart of Dubai, with easy access to Dubai International Airport as well as the business and commercial districts of Deira. Make your stay memorable at Crowne Plaza Dubai-Deira.